This level is hard and have candy board that divided into four parts with four rows and columns. For this level you should try break single timer bomb and then all chocolates. 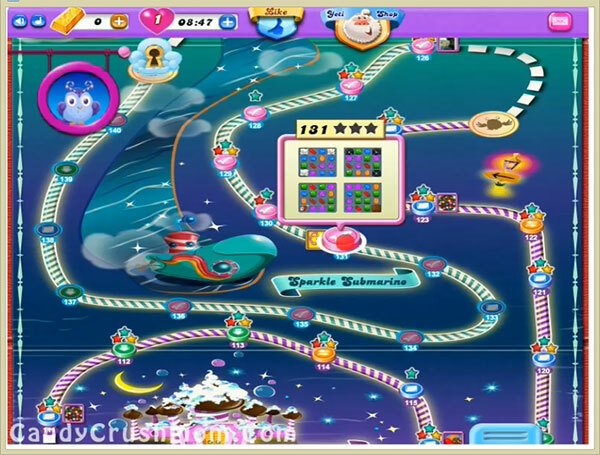 Then you should try to play from bottom parts of the candy board to get striped candy and play till second last move as you could get chance any time to make striped candy. We completed this level with 27000 score by playing more from bottom and finally get last striped candy at the second last move and got three star score.